Natural Cotton Color, Francisca Vieira’s sustainable fashion brand (one of the companies of the Natural Cotton Color group – NCC Ecobrands) has been selected to show innovative handcrafted products at MAISON D’EXCEPTIONS, France. The event is part of the Première Vision Paris and was created with the aim of presenting skills and expertise of artisans and designers for the fashion industry. Francisca reveals that it is the first time that a Brazilian company participates in the MAISON D’EXCEPTIONS and that the selection process was very difficult. 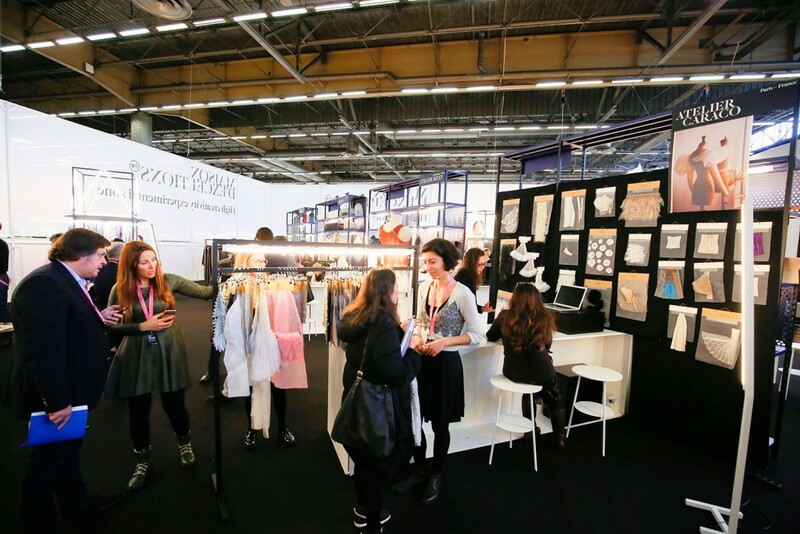 The invitation to the selection took place in September this year, during the presentation of prints by the Parahyba team (also from the Natural Cotton Color group – NCC Ecobrands), at Première Vision, in Paris. Since 2011, with a gathering that takes place once a year in Paris as part of the Première Vision fair, MAISON D’EXCEPTIONS honours international craftsmanship, bringing together a selection of workshops and companies whose mission is to support the development of ancestral, folk or contemporary techniques. 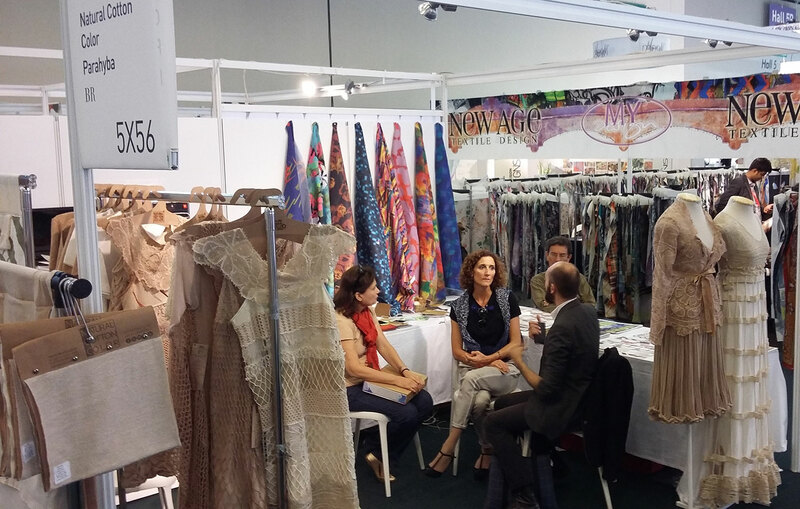 At the time, Francisca, strategically, showed three samples of handmade pieces and thus guaranteed a visit from a management representative to the booth (see photo). “They told us to present our innovative handicrafts. We did not know what kind of innovation was wanted, then, along with the designer Romero Sousa (also from the Natural Cotton Color Group – NCC Ecobrands), we have introduced new designs and new materials. It worked”, she says. The first samples of craftwork were presented during the Première Vision Paris in September 2015. Thus, Francisca Vieira (Natural Cotton Color) was invited to participate in the MAISON D’EXCEPTIONS to be held in February 2016. Among the craft items sent are samples Macrame e Festone, renda Renascença e Rede de Pesca and also the technique Capitone and natural dyes in organic fabric. “The techniques are traditional, but everything was done with a contemporary approach with reinterpretation and innovation in the design and also in the use of materials,” says the businesswoman. Maison d’Exceptions’ selection process is rigorous, made by curators. Entry to the event is open only to guests from major brands such as Chanel, Dior, among others. 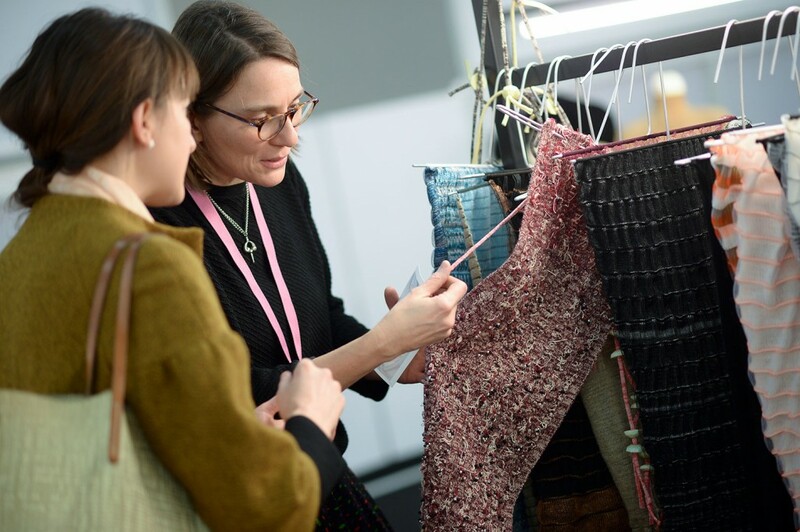 The MAISON D’EXCEPTIONS is a space to show activities that demonstrate the skill and expertise of craft making and innovative products to many international players in the fashion industry. They are artisans, producers and designers showing their work to designers and entrepreneurs from big brands. There are also workshops which are divided into three themes: Vernacular Techniques (from a particular country or region), Heritage Techniques and Contemporary Techniques. In the MAISON D’EXCEPTIONS are artisans, producers and designers showing their work to designers and entrepreneurs from big brands. Therefore, the goal of the Natural cotton color brand is take artisans from Paraíba to the MAISON D’EXCEPTIONS in France. Francisca does not know how many of these artisans will be part of the delegation because the curator has not informed which samples were chosen for display. “I hope to take at least a craftsman for each type, but for that I need local support. There is some difficulty in getting resources, mainly because I’m no star in the world of Fashion and am local. In Paraíba, we still appreciate more whatever comes from other places”, says the businesswoman. Each year, the Première Vision Paris celebrates and honors the excellence of craftsmanship and creativity through the MAISON D’EXCEPTIONS. Francisca said she is happy with this step in the expansion of Natural Cotton Color, but has her feet on the ground. “It is better to let it happen, let us not expect much. What matters is responsiveness. We were selected and this is already a great result,” concludes Francisca. MAISON D’EXCEPTIONS project: is to stimulate creative excellence by giving fashion brands and designers.